Palodent V3 is the latest sectional matrix system from Dentsply Sirona. It is dedicated for use in Class II cavities where it delivers predictable, accurate contacts and a natural restoration contour. 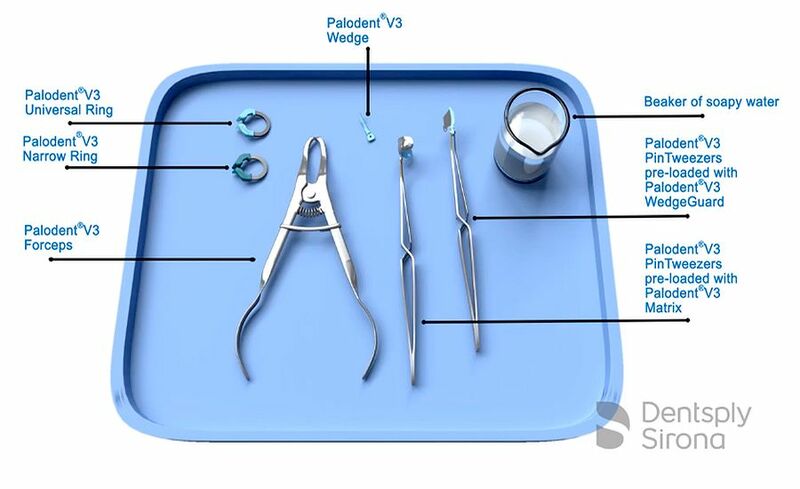 The system includes a molar and premolar ring, 5 different sized tabbed matrix bands, 5 different sized EZ coat bands, 3 wedges, 3 wedgeguards and specially designed pin-tweezers and forceps. All components work together easily and deliver predictable tight contacts, tight gingival seal, minimized flash and finishing. 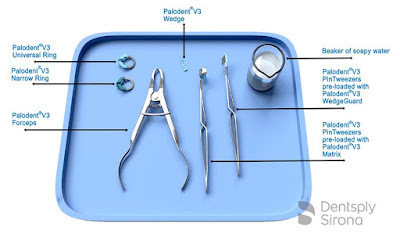 Palodent V3 Matrices EZ Coat have a micro-thin non-stick finish making matrix removal eaven easier.